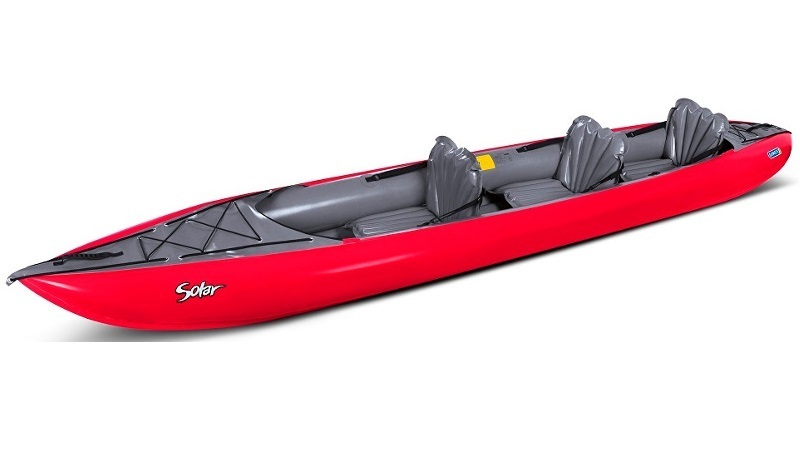 Our most popular kayak paddle. 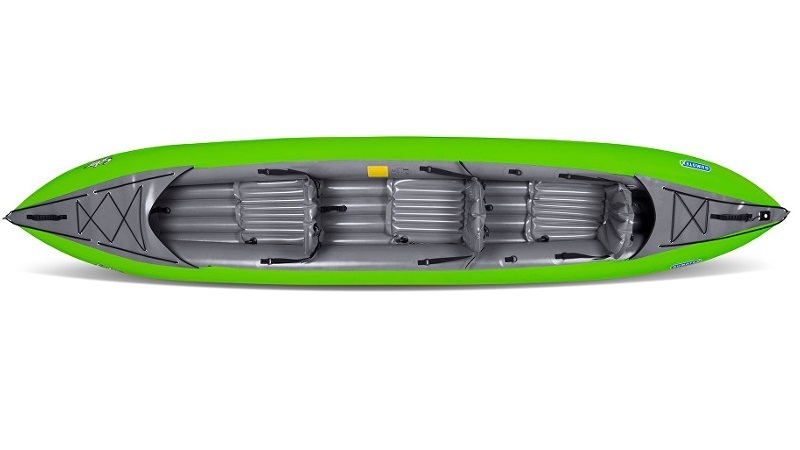 A touring kayak paddle that is well suited to inflatable kayaks. Supplied in a 2 piece shaft for easy storage. When packing down small is required the Bravo 4 Piece is a great choice. Strong alloy shaft with a 4 piece split for compact storage. A comfortable general purpose buoyancy aid that's great for inflatable kayaking. Fully adjustable shoulder / waist straps and front entry zip. 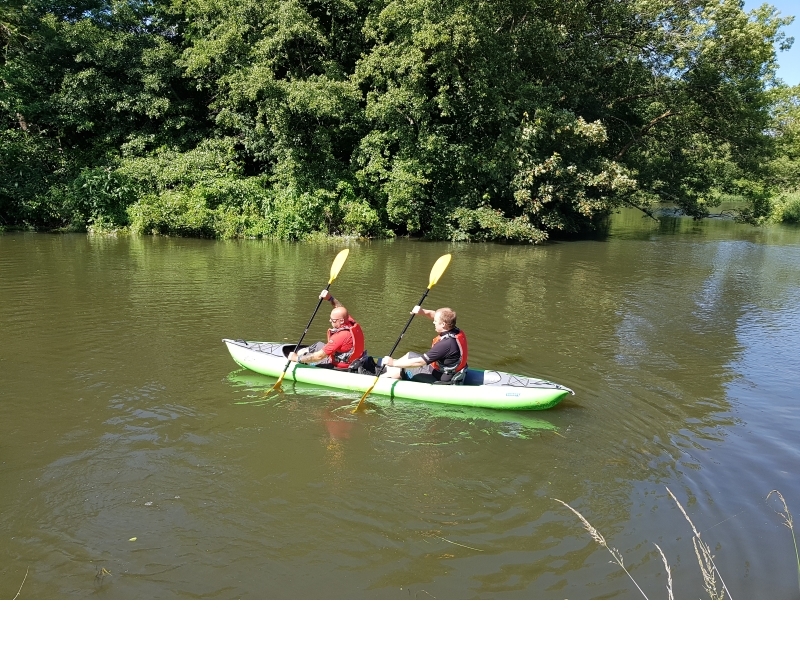 Great for inflatable kayaks, supplied with a range of universal nozzles and can inflate as well as deflate your inflatable kayak. An extremely efficient air pump that inflates on both the up stroke & down stroke of the handle, with an inflate or deflate option. The Gumotex Solar 3 person is the ultimate is versatility with multiple seat position options which allow the solar to be paddles solo, tandem or even 3 people. When used for solo or tandem the solar has ample space for carrying gear which makes it an ideal choice for those looking to do longer trips. Like the majority of the Gumotex range the Solar 3 is constructed from Nitrilon. 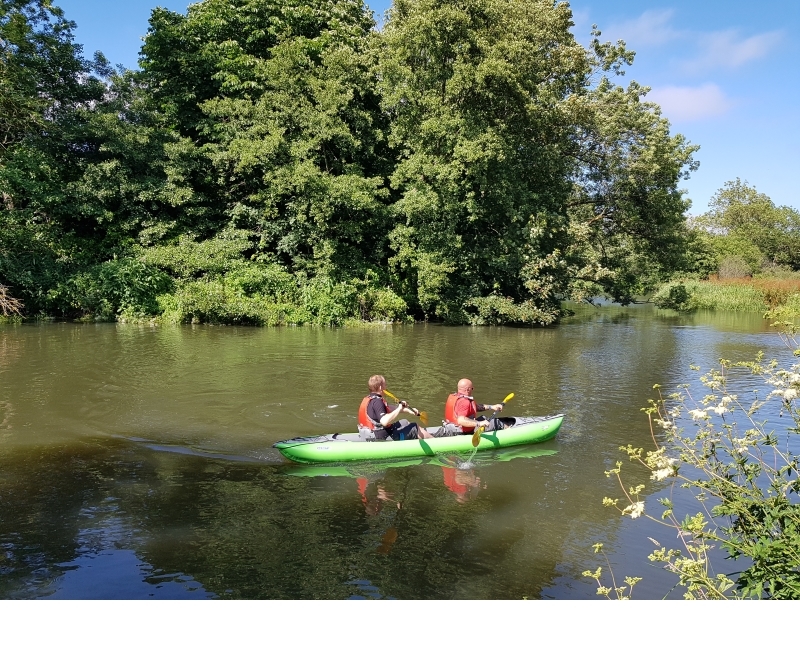 This material is perfect for inflatable kayak construction delivering a quick drying, lightweight and highly durable kayak. The Solar 410 packs down to a convenient size allowing it to be easily transported and stored. 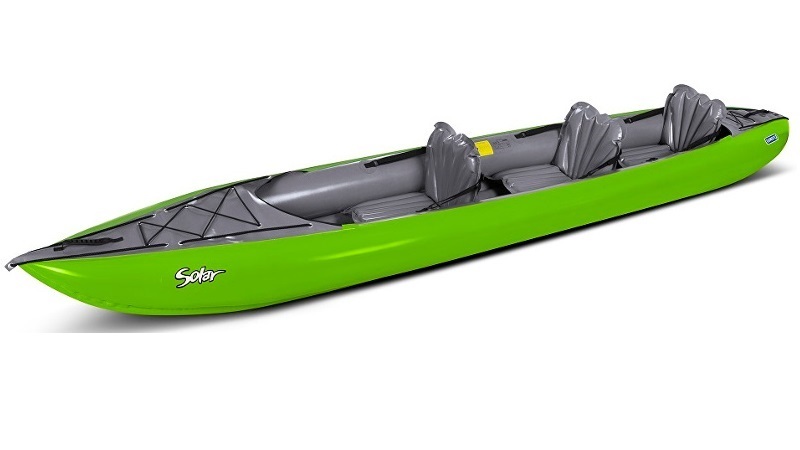 The Solar 3 person is primarily designed for placid water use and the ideal choice for lakes, canals and calm seas. The Solar will still perform well on fast moving rivers up to grade 1. The Gumotex Solar 3 is constructed from Nitrilon® material. This is a lighter version of the material used in rigid inflatable boats (RIBs) construction. Nitrilon® is manufactured in-house by Gumotex allowing for complete control over product quality. The material is highly resistant to abrasion, aging and UV with a minimum tensile strength (1) of 3000/3000 N (sample 20 x 5 cm). This makes Nitrilon fabric an excellent material for the construction of inflatable watercraft. 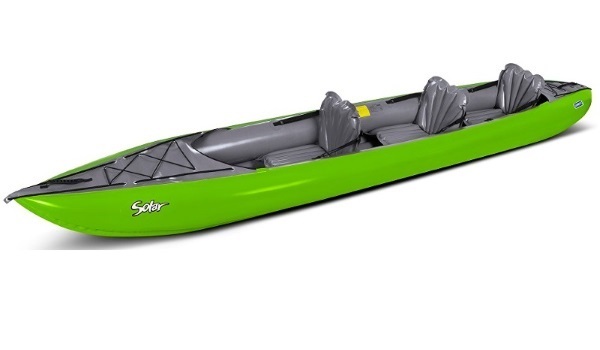 Each Gumotex inflatable kayak/canoe/boat/raft is manufactured by hand in the Czech Republic. After final assembly they are inflated for a further 6 hours before having a final inspection and being prepared for packaging. This means that each Gumotex Inflatable has been tested under inflatation twice before it is packaged! Such stringent testing and quality control has led to Gumotex being accredited with ISO9001 Quality Assured Management Systems, and this means that you can have complete confidence in the quality of your Gumotex product as soon as you open the box! Buy a Gumotex Solar 3 online from our website and collect from one of our nationwide branches. 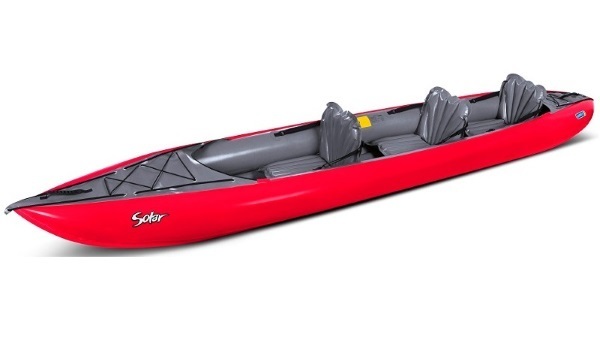 Why Buy From Inflatable Kayaks UK? We are a UK business and pay our corporation tax in the UK. Expert advice - call us on 01273 513200.